The winner is Roisin!! 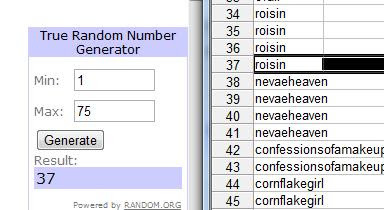 Congratulations Roisin, I will be in touch with you to get your postal address. Don't forget to enter our Chanel giveaway, we have 2 polishes up for grabs that aren't in Irish shops yet!